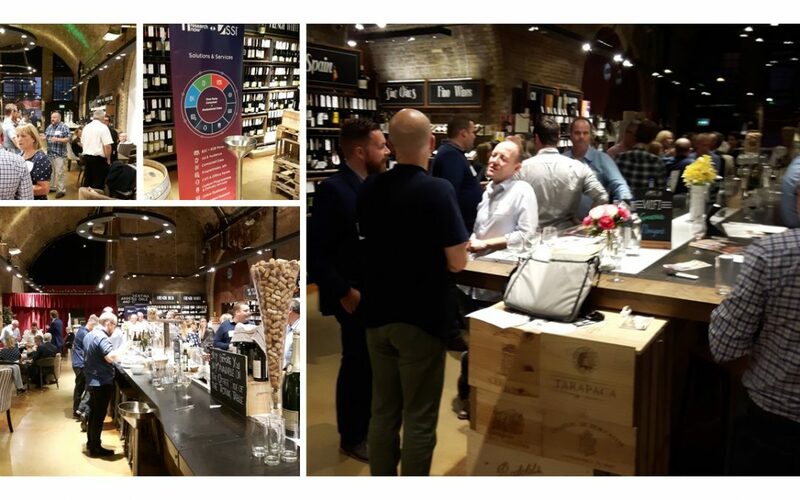 Early September has quickly become a must-put-in-the-diary time for all lovers of B2B research and wine, as BIG hosted its AGM and late Summer drinks at Laithwaites London Bridge. The AGM went smoothly with no major revolts (Martin Sorrell should be so lucky) and we were able to get on quickly to the main business of the evening, namely wine tasting. Our wine expert Grant talked us through the finer points of wine tasting and there was a quiz, won by John MacKay’s team (although I heard John asking if he could have beer instead of wine as his prize – extraordinary!). There was also a quick quiz of a bottle of Laithwaite’s finest for the person who got closest to the amount that the most expensive bottle of wine was sold for. Apparently a Screaming Eagle Cabernet Sauvignon 1992 sold for $500,000. Congratulations to Nancy Mayo for guessing correctly (or close enough) and hope you enjoyed the wine (don’t think it was a Screaming Eagle though). With a generous selection of fine wines provided by Laithwaites and food from nearby Borough Market, the evening was a connoisseur’s delight. Thanks to our own Damon Thomas for organising and also to Research SSi for sponsoring the evening.